Presidential Peace Adviser Jesus Dureza is scheduled to meet with Norway's Minister of Foreign Affairs Ine Eriksen Søreide to personally explain the temporary cancellation of the peace talks with the Communist Party of the Philippines (CPP). Dureza was officially invited to be a participant at the Oslo Forum, a global peace negotiators' conference in Norway, but he will be meeting separately with Søreide to discuss the status of peace works in the country. 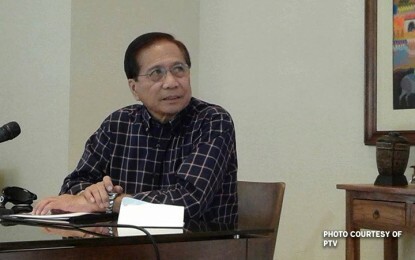 "It will be an occasion for me to explain to them why we have cancelled for the moment the peace negotiation with the CPP-NDF (CPP-National Democratic Front), and also an occasion to officially thank Norway for the strong support that they are giving us," Dureza told reporters in a press briefing at the Ninoy Aquino International Airport on Sunday before he left for Norway. Norway is the facilitator in the government's peace negotiations with the CPP. On Thursday, Dureza revealed President Rodrigo R. Duterte's decision to postpone the resumption of peace talks with CPP to allow further public participation in the peace process. The talks was supposed to be on June 28 to 30. Meanwhile, Dureza said they have no scheduled audience with the CPP in his Oslo trip. "I don't know, I have no idea, the plan is to be there in Norway pero kung mag-participate sila sa Oslo Forum, baka kumbidahin sila, of course magkikita kami roon (but if they will participate at the Oslo Forum, if they get invited, of course we will see each other there.)" In case of a chance meeting, Dureza refused to give hypothetical answers, saying they would "cross the bridge when they get there".